Competitive bulk pricing - We welcome bulk and blanket orders. Complete selection of in-stock batteries. Experienced staff personally handling your account. On-site custom fabrication of battery packs at our Springfield, IL warehouse. Competitive pallet rates for larger, out-of-town deliveries. Accepting school, government, and corporate credit cards. Accepting purchase orders for corporate purchase with net 30 day terms. 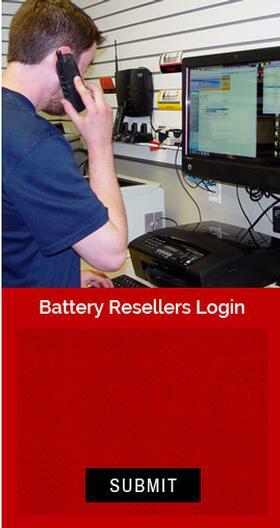 Please email, fax, phone or complete our Request Form so we may create a quote for your specific battery need. Include your zip code if you would us to provide you with a shipping cost.